I started liking essential oils when I started calling myself a yogi ... I guess that makes me a basic yogi ... but I used them very casually. I'd lather some lavender on before bed, put way too much on my wrists before my yoga practice and, once I started teaching, dab some on students' temples in savasana. In short: I had no clue what I was doing. During my pregnancy, essential oils became much more interesting to me. Suddenly I was more conscious of what I was using to clean and the chemicals I was exposing myself and my baby to. Now, I'm slowly turning into one of those oil people. You know, the ones who are always diffusing something, DIY'ing some strange Pinterest concoction and smell like clean hippies. ... I can feel you rolling your eyes. But honestly, I think those oil people are onto something. I'm no expert by any means but I'm curious and am enjoying learning more about them and using them more purposefully. Plus, they are safe to ingest ... which I don't do a ton of (yet) but it makes me feel more confident about using them on my baby boy. After all, he sticks everything in his mouth. Especially his fingers. I'm fortunate to have a nice starter set of oils from Young Living. But I recognize that even though the oils last foreeeeeeever, it's an investment to start there. And if you're only using a couple oils for a few things, I don't think it's necessary. 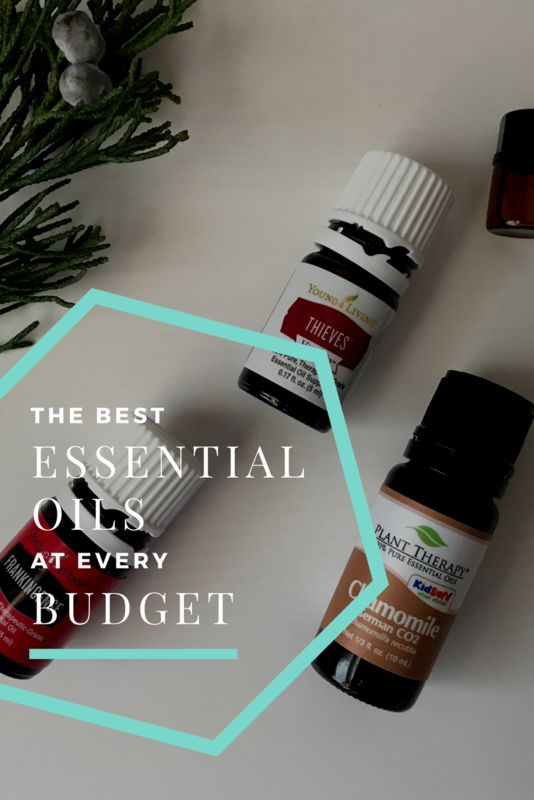 Here are the oil brands I like at various price points and what I use them for. In light of the upcoming Olympics, I'll rate them medal-style. I've been using Young Living oils for my yoga practice, ingesting them, making bath products and diffusing. Basically, everything. Like I said, I use Young Living oils but dōTERRA is of the same caliber. Both of these are MLM companies ... which is why I was skeptical. But they are legit. Young Living has a "Seed to Seal" promise, and doesn't add synthetics, contaminants or fillers. And doTERRA is similar, they just use different words. :) Their oils are "therapeutic-grade". Where to buy: You probably have friends who sell both. I can actually sell them myself now that I got the starter kit, so I can also be your friend who sells them. Just send me a note. These oils are wonderful and you can't beat the price. You can't ingest them but they're 100% pure essential oil. Here's the deal on that: The plants harvested have to be certified to be safe for ingestion — basically they have to be super duper fancy — but these oils are still legit. I'd compare it to buying organic apples versus GMO apples. They're still good for you (in my opinion) and they're both apples. If Young Living and doTERRA are organic apples and Plant Therapy is a GMO apple, then NOW (and other health food store brands) are like candied apples. I like candied apples, but I don't expect to experience amazing health benefits from eating them. Where to buy: Any health food store. I personally like the selection and prices at Natural Grocers. Do you have any other oil companies you like? I've done a ton of research but there are so many out there I'm sure I've missed some other good options. P.S. Isn't my new little oil shelf cute? I got this spice rack at IKEA for $4. It keeps them out of drawers and in a space that's easily accessible. IKEA I LOVE YOU.